Just a few minutes walk from the ever expanding Shipyards District and The Quay lies this calm & quiet sub-penthouse 1 BR + den unit in The Vista. 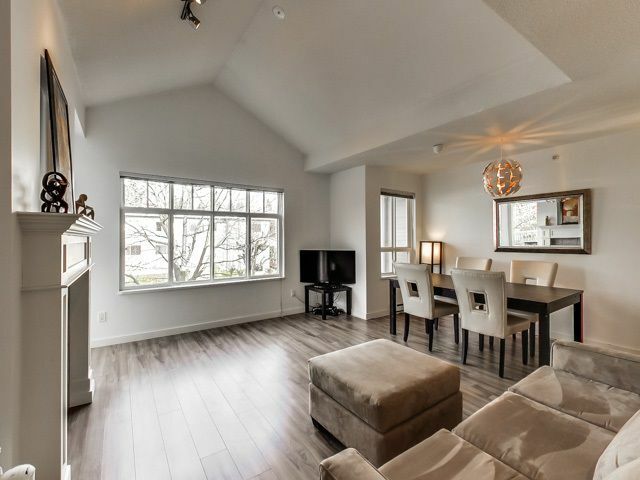 One of only a few units to feature vaulted ceilings, this light filled, open plan 1 BR boasts stainless GE Profile appliances (2013), contemporary wide plank laminate (2013) & Whirlpool Duet W/D. 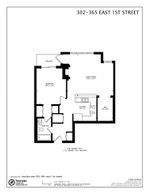 Entertainers will love this functional floorplan & large kitchen bar, walk through ensuite & spacious den. Vaulted ceilings add light & space. Balcony is a perfect spot to set up the BBQ. Den could double as a baby's nursery. 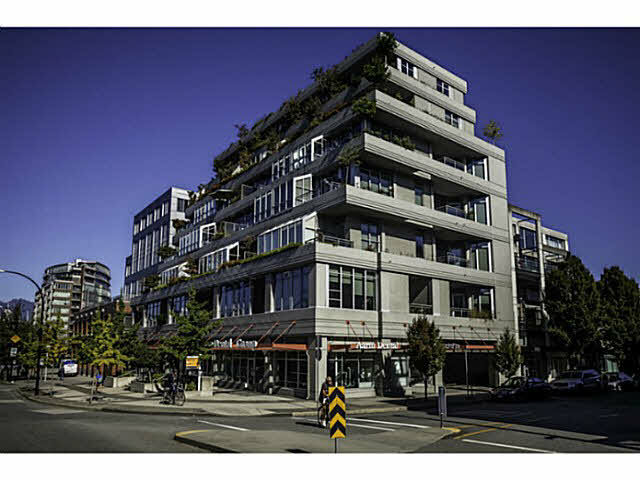 Gas & hot water included in strata fees and building was fully repiped in 2015. Pets OK. Parking & storage included. OPEN HOUSES: Wed, Mar 2nd, 5:30-6:30 PM & Sat & Sun, Mar 5th & 6th, 1:00-3:00 PM.